2019 Club Registration Night takes place on Friday January 11th, at The Mall from 7-8pm. Athletics Ireland Club membership for every age group from Little Athletics up to Seniors must be renewed in January every year. Due to GDPR regulations coaches will no longer be accepting forms so it is essential to attend Registration Night to renew for the coming year. All Adult members = €30. 4 children in same family =€70. This year all juvenile athletes aged 10+years (born in 2008 and older) that intend to compete in the Connacht Indoor Championships in February must enrol on this night. Late registrations will not be taken again until March and will not be eligible to complete until the summer. Parent must come in person to sign form for any U18 member. 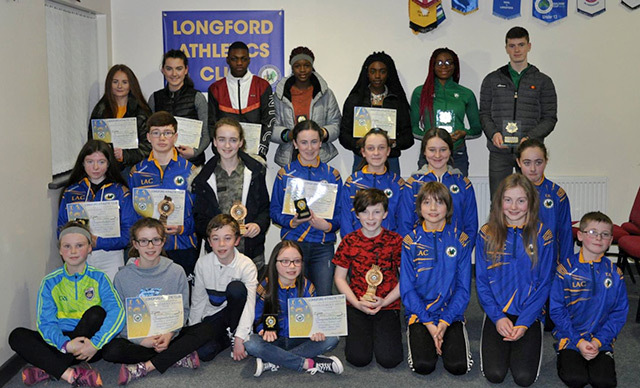 Longford Athletic Club celebrated their most successful year of competition to date at their Annual Awards Presentation held in Kenagh Community Centre on February 10th, 2018. It was an opportunity to recognise Connacht and National achievements of 2017 at both Juvenile and Senior level. Five Senior athletes were commended for their performances during last year in half and full marathon, ultra-endurance and ‘last man standing’ events. Sinead Phelan ran 12 marathons in 12 months, finishing as 1st female in several races across the year. 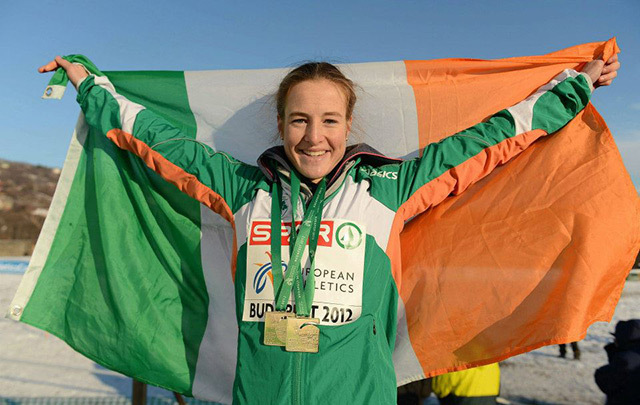 Adrianna Melia made the Athletics Ireland 2017 Performance List twice with her sub 3 hour marathon in Barcelona in March 2017 where she was 7th European finisher and also for her Half Marathon time of 1:20:49 in Laois in December. 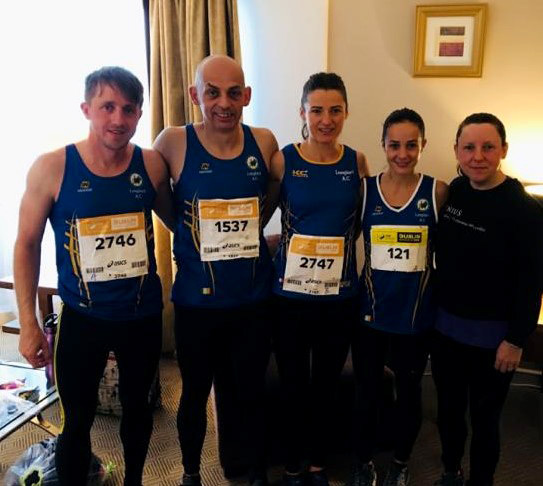 Barry Sheil displayed excellent form throughout the year competing in track, cross country, 10K and marathon distances with the highlight being his 9th place finish in the M35 age group at the SSE Airtricity Dublin Marathon in October. Paddy Sharkey’s top 15 performance in the M40 category at the same event helped teammates Barry Sheil and Kevin Ward rank a very impressive 9th place out of 417 teams. Juraj Karcak’s ultra-endurance races that included kayaking, mountain running, cycling and distance running from 50 miles up to 200K stood out from the rest and impressed all in attendance. The Juvenile members of the Club had a truly outstanding year winning Connacht medals in 48 individual events plus 15 relay teams all progressing to National competition in 2017. The huge collection of medals which includes 22 Gold, showcases the wide array of talent at Juvenile level across a variety of track and field events: 60m, 80m and 100m sprint, 200m, 800m, 1500m, hurdles, high jump, long jump, shot putt as well as cross country. Top Connacht medallists for the year were Nelvin Appiah (10), Brendan Finnan (9) and Killian Rawle (7). Three Juveniles, Funmi Talabi, Cian McPhillips and Nelvin Appiah, and both the U16 and U17 Boys 4X200m Relay teams saw their dedication and training pay off winning Athletics Ireland National medals in 2017. 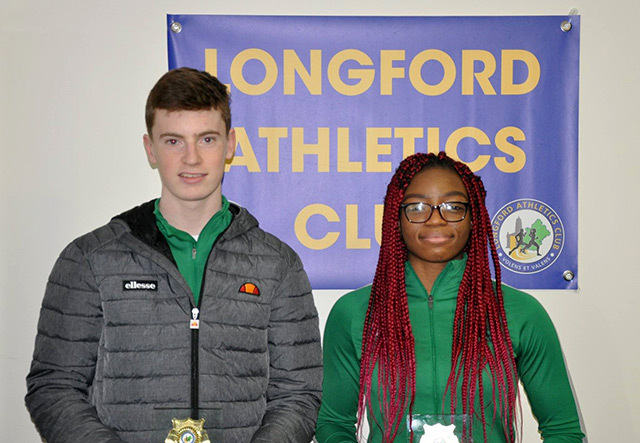 The last several years have seen Longford athletes gain experience and grow in confidence with every competition so these fantastic achievements are well deserved by athletes and coaches alike. 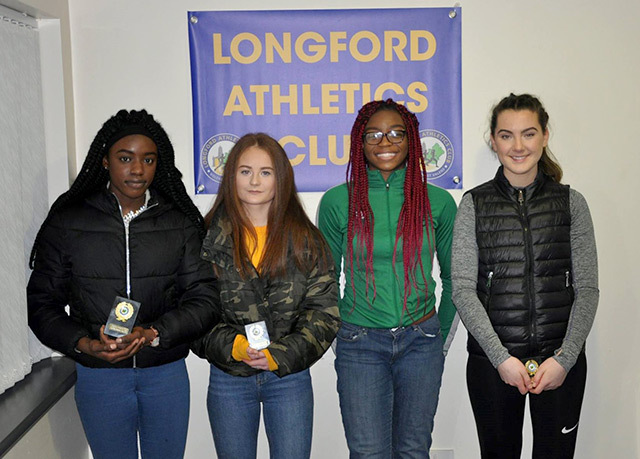 For five consecutive years Funmi Talabi has been the fastest girl in Connacht in her age group and her perseverance paid off in March when she won her first National medal, Silver in the U13 Girls 60m, and then finished 4th at the All-Ireland Outdoor Championships in July. Nelvin Appiah made it to the All-Ireland podium three times during last year’s Indoor Championships, winning Gold in 200m and two Bronze in high jump and Combined Events as he fine-tuned individual events that are part of the pentathlon. Cian McPhillips was the deserving winner of the Juvenile Athlete of the Year Perpetual Cup as he was selected for two International squads in 2017, excelling on both occasions to win Gold for Ireland on the track in Santry in the 800m at the Celtic Games, August 2017, and at the Celtic International Cross Country, January 2018 in Antrim. Cian is the National U16 Boys 800m Champion in both Indoor and Outdoor track, National U16 Boys 5000m Cross Country Champion and All-Ireland Silver medallist in 1500m. 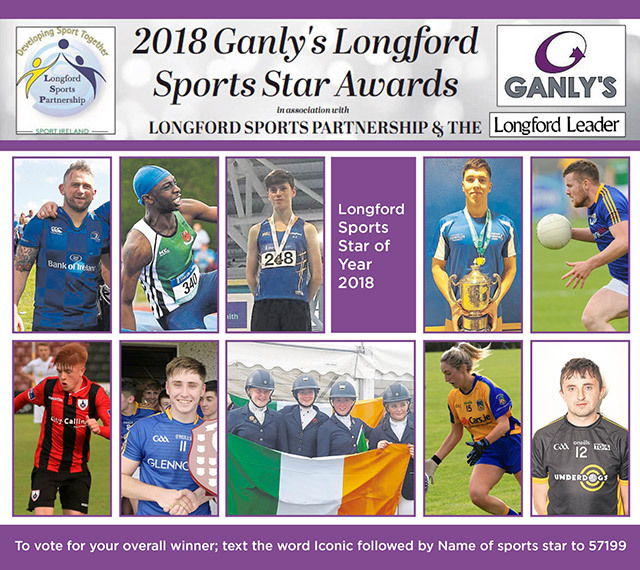 The Club was very proud Cian was named the Ganly’s Longford Sports Partnership Junior Sports Person of the year. Training for the 2018 indoor season is well underway with the Connacht Indoor Track and Field Championships fast approaching at the end of February. 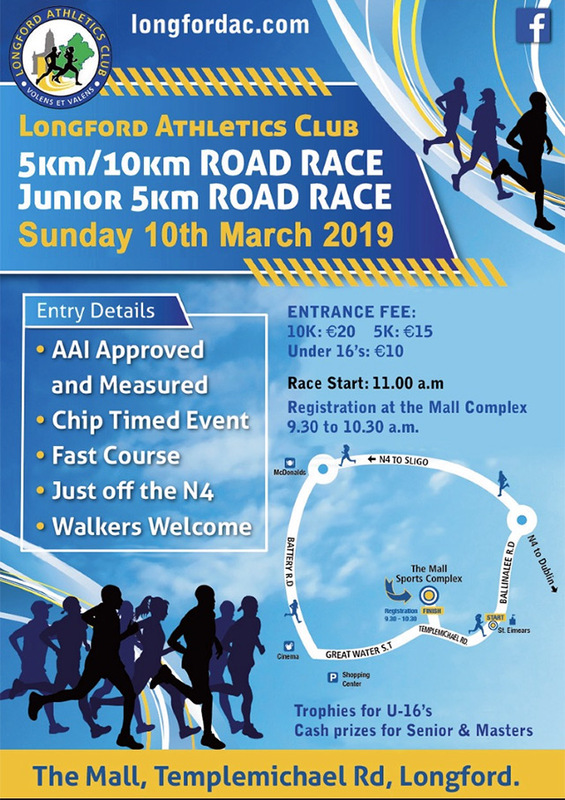 This will see all juveniles from U12 and above take to the track at Athlone IT to try to get their name on the achievement list for this year. The third and final leg of the Connacht Cross Country league was held in St.Brigid’s GAA grounds, Kiltoom Co. Roscommon on 18 November 2017 what was a very good cross country course. Adrianna Melia who had easily won race 1 and 2 again produced a fine performance running away from the Senior Women’s field to win race 3 by over 200 meters. Having won all three races in the Connacht Cross Country League series Adrianna was crowned Connacht Senior Champion and league winner. 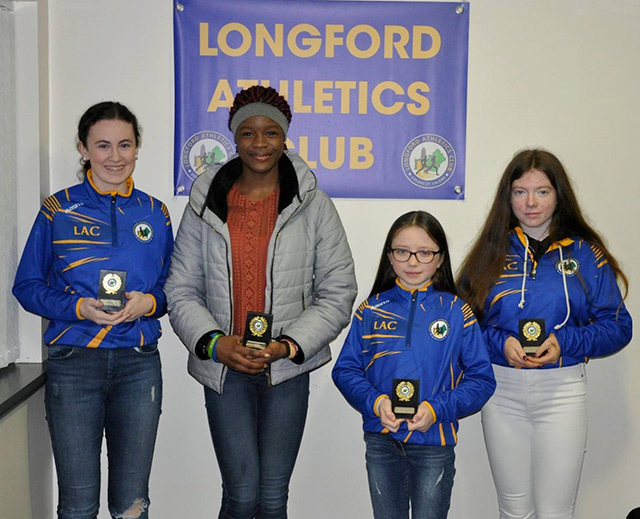 This might well be the first time that a Longford AC woman has won a senior Connacht Cross Country title. Adrianna continued her fine form by winning the Gingerbread Half Marathon the next day in a new PB of 1:20:49. This places Adrianna in 14th position on the Athletics Ireland top 20 list for all Irish women over the half marathon distance for 2017. 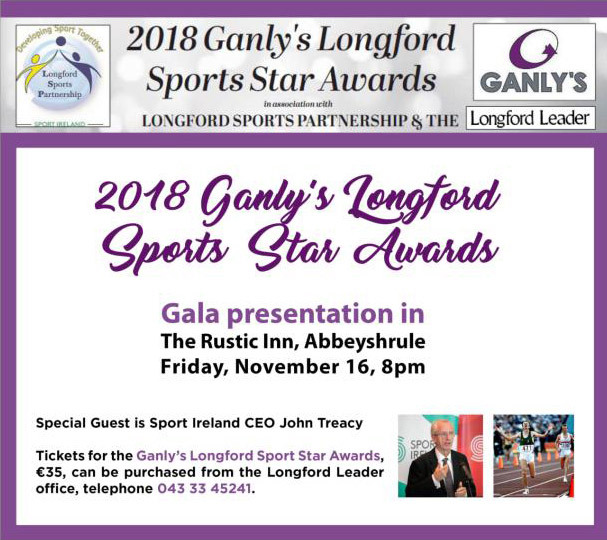 It has been nice to see that Adrianna’s achievements have been deservedly acknowledged by bodies outside of Longford AC with the Longford Leader/Longford Sports Partnership selecting Adrianna in 2017 for two monthly sports star nominations and the March award. Congratulations Adrianna from all at Longford AC. Longford AC hosted the Connacht Juvenile Uneven Cross Country Championships and Senior race 2 on November 5th, 2017 on the grounds of Moyne Community School. Quite a bit of work went it to organising this event. Thank you to everybody that helped out. A special word of thanks to Moyne Community School and Club Chairman Paddy McPhillips for providing the venue and all the unseen work.